After last week's three pound gain, I was really hoping for a good weigh-in this week. I'm leaving for Portland on Friday, and I want my weight to be low for a couple of reasons: 1) I'm going to be indulging in some good food while I'm there, and I fully expect to gain a few pounds on the trip; and 2) I'm running my race on Sunday, and every pound matters when it comes to running my fastest. Last week's gain was a matter of indulging too much on a few occasions (out with friends, eating out with the family, etc.). I didn't regret any of it, and things like that are going to happen in life. The most important thing is how I handle the week AFTER a gain. 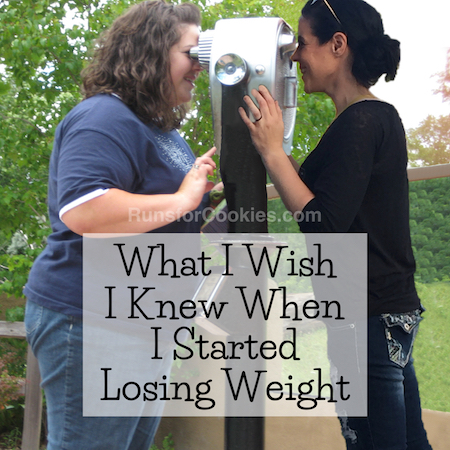 In the past, I would have gotten discouraged, and possibly continued to indulge too much, leading to another gain. This time, I just decided to consciously cut back on calories a tiny bit (not by much, because I didn't want to go from overindulging to feeling like I was starving). I still had my high-calorie day; and I still had my treat each evening. 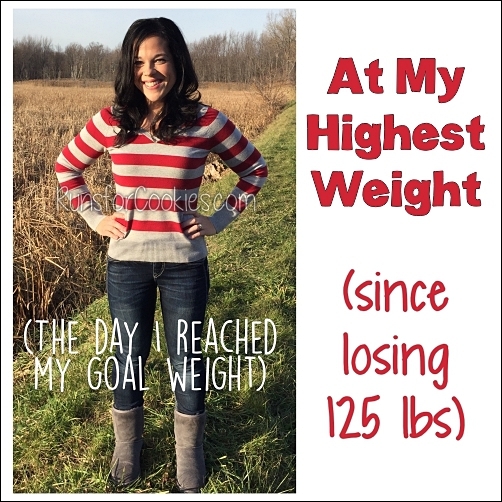 I was very pleased to see that my extra effort showed up on the scale this morning! 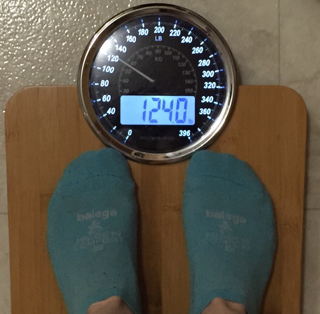 I weighed in at 124 even today, which means I am down 3.4 from last week. Definitely very happy about that! 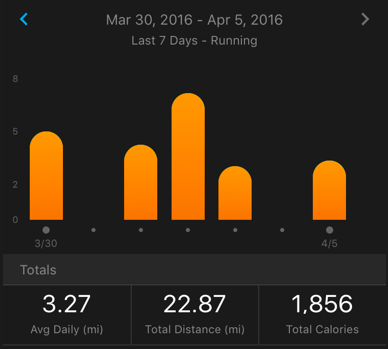 My running was good this week. I just noticed that my Garmin Connect app has a summary feature! I'd been using three different apps to get different info. As far as my long term goals go, I did great this week! 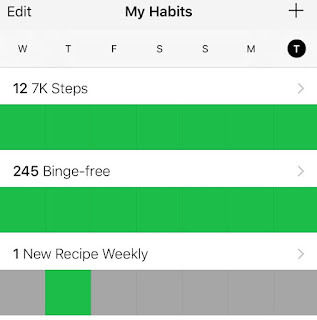 7,000+ steps 6+ days per week: I actually hit all 7 days this week. 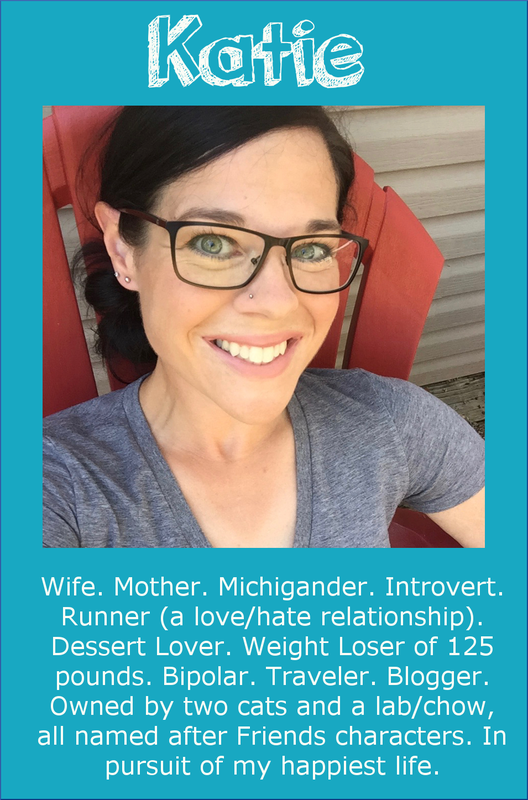 Stay binge-free: Today is day 246! It's been almost eight months since my last binge. Try one new recipe weekly: This week, I tried a Meatball Sub Bubble Up Bake. There are different versions floating around Pinterest, but this is the one that I used. 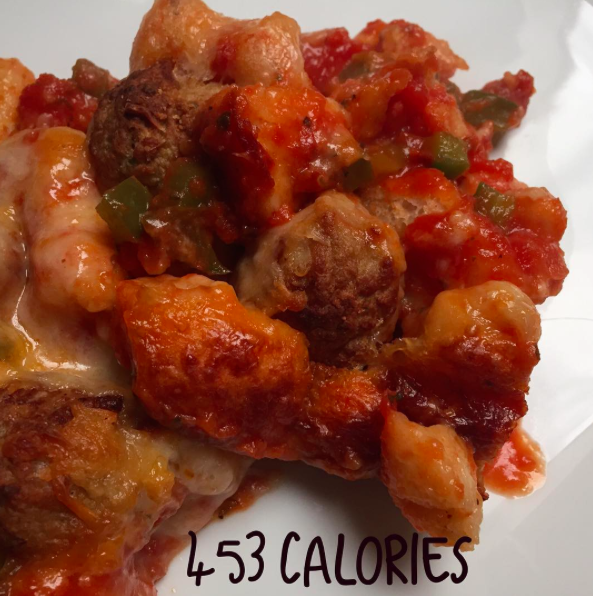 I love these "bubble up" casseroles! If you're not familiar, the base of them is a can of (raw) biscuits that you cut up and mix with other ingredients. When you bake it, the biscuits "bubble up", which is where the name comes from. There are all sorts of variations--pizza, enchiladas, etc. The biscuits turn almost dumpling-like, which I love. I've liked the other variations I've tried, and this one was good as well! Since this uses a whole jar of marinara, I think that the flavor of the marinara itself is important. When I buy jarred sauce, I always make sure to get a good quality one. They're more expensive than buying Ragu or Prego brands, but considering I don't use them very often, it's worth it to me to spend the extra money on a good sauce. (Yes, ideally, I'd make my own--but sometimes, I need a dinner that I can literally just throw together). Anyway, Jerry and the kids liked this, too! I'll be making it again. I'm happy to have had a good week, considering things are going to be totally out of the norm for me starting Friday. 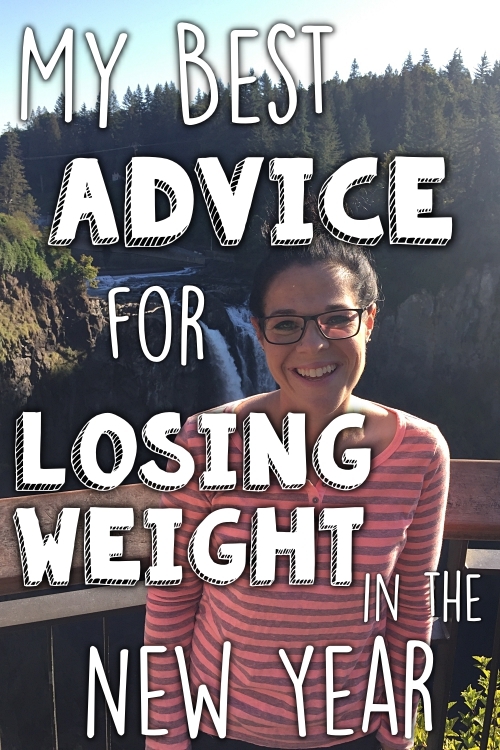 I won't have a weigh-in next week, because I'll be in Seattle, but I'll post one the following Wednesday (hopefully after I've lost some of the weight I'm sure to pick up on my trip!). That bubble up bake sounds delicious! I think i will try that for us! Thanks! Great job! 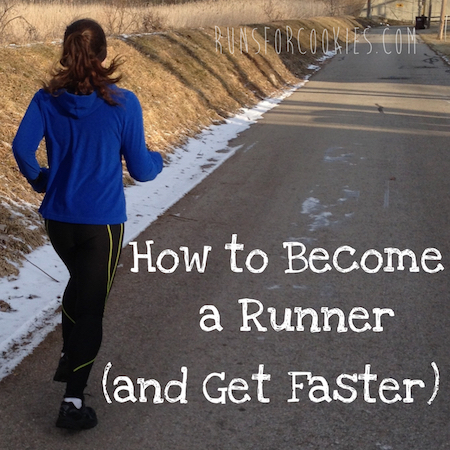 When you eat your 1900 calories do you include your running earned calories? 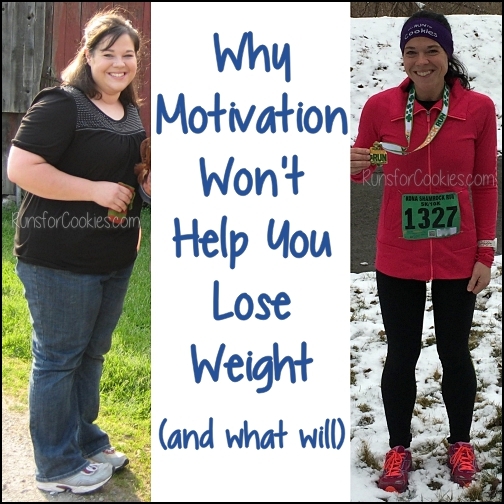 So essentially I guess I am asking do you eat the calories earned from running? Thank you for your inspiration as usual! 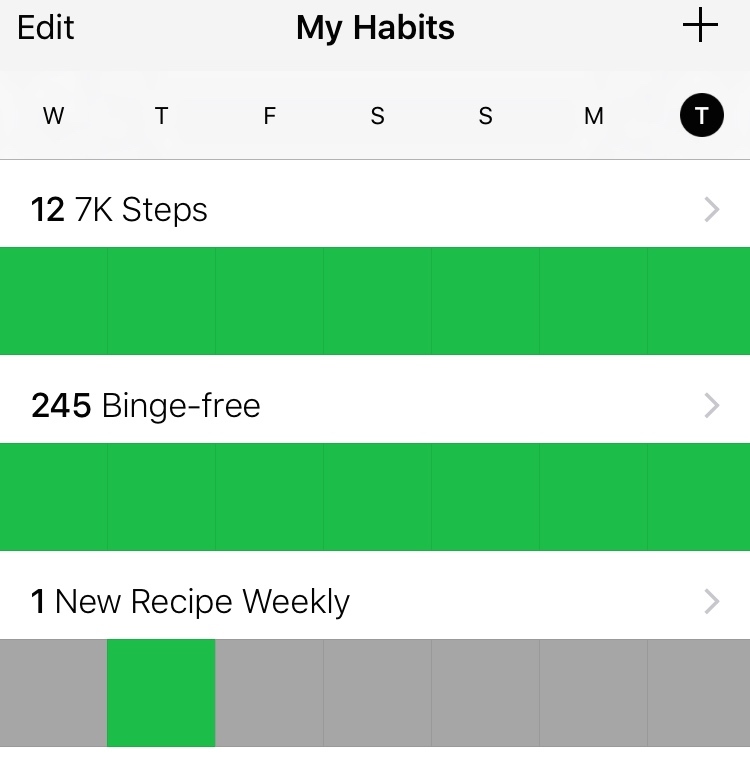 I downloaded the momentum app and it's amazing to me how quickly days fly by - I love tracking my days exercising and counting calories. It helps motivate me by seeing how many days I've already done it which helps me not "waste" all that effort by skipping or overeating. Enjoy your trip to the PacNW! Trophy is my favorite cupcake in Seattle although their Guinness cupcake (my favorite) is probably gone by now. Magnolia Bakery on Queen Anne is delicious as well for a baked good fix.